Who is REEA? Watch this video to find out! 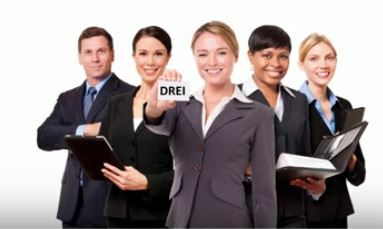 Interested in becoming a Distinguished Real Estate Instructor (DREI)? 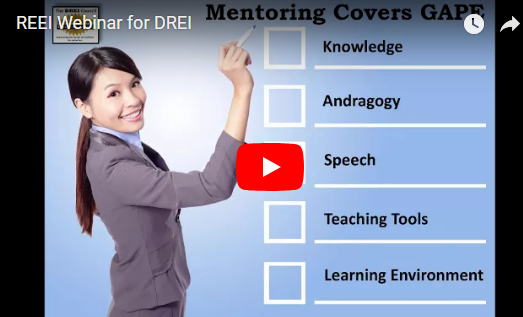 Check out this webinar and learn "What Becoming a DREI Can Do for You." REEA is a great opportunity for real estate educators who are looking to improve their leadership instruction and classroom engagement in a real estate education environment. I have been teaching real estate since 2005 and although I may be regarded as an experienced educator at REEA there is an opportunity to learn new pedagogical skills and to make a valuable contribution toward the advancement of real estate education and practice. REEA is a vibrant and progressive organization! With a focus on upholding educational excellence for instructors, licensees, and regulators, REEA's workshops, events, and conferences inspire me to be a better leader and regulator in the real estate industry. 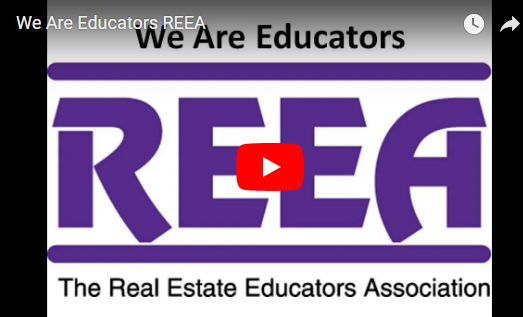 Membership in the Real Estate Educators Association (REEA) is the single most valuable tool in achieving and maintaining the attributes of successful real estate educators. The mission of the Real Estate Educators Association is to provide resources and opportunities for professional development to individuals and organizations involved in Real Estate education. The members of the Real Estate Educators Association come from all facets of the industry: Colleges and Universities, Proprietary Schools, Corporate Trainers, Independent Speakers/Trainers, Legal Scholars, Best-selling Authors, Technology Innovators and thousands of classroom educators who work directly with students every day. REEA is dedicated to delivery of high-quality sales associates to the nation's real estate brokers, regulators, and, ultimately, to consumers. We strive to give our members the latest tools and techniques for effective adult education to meet and exceed the high standards demanded in real estate's rapidly changing legal and professional environment.